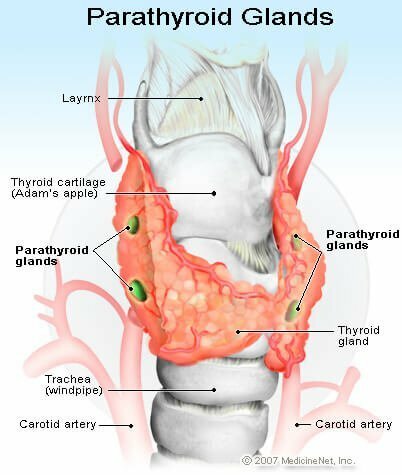 Hormone, parathormone: Hormone made by the parathyroid gland (behind the thyroid gland in the neck). Parathormone (pronounced para-thor-mone) is critical to calcium and phosphorus balance. Deficiency of parathormone results in abnormally low calcium in the blood (hypocalcemia). Also call parathyrin.